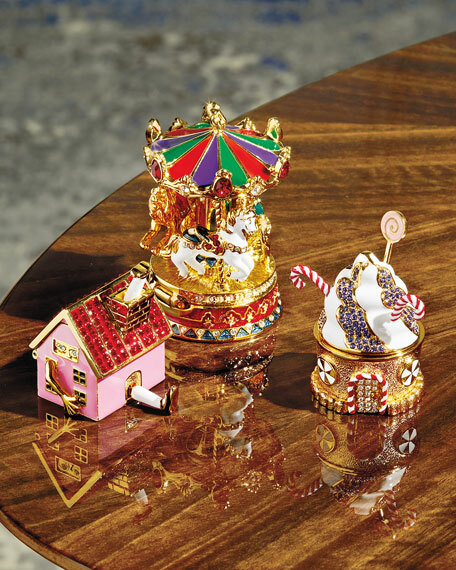 The fashion house of Estee Lauder in collaboration with luxury jewelry designer and storyteller Monica Rich Kosann created a wonderful and fairytale design for brand’s famous Modern Muse Perfume. Estee Lauder is always saying: ‘every woman can be beautiful’ thanks to their most renowned beauty products and elegant perfumes. 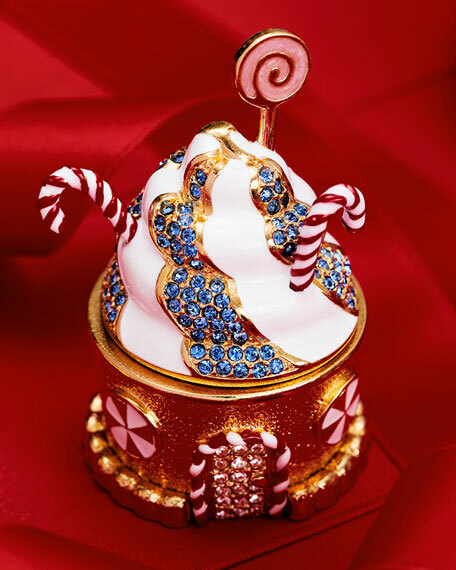 Monica Rich Kosann is always delighting with its unique and exclusive creations and this time she crafted an eye-catching whimsical solid perfume compact exclusively for Estée Lauder. Estee Lauder Modern Muse is a sensual and adorable perfume, I personally find it really attractive and warm, made of luring notes of sparkling florals and aromatic wood accords. 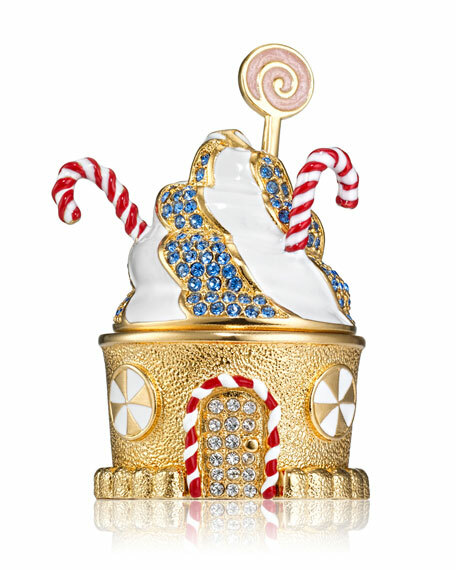 Modern Muse Gingerbread Cottage Perfume has a Christmas design with sparkling stones – a perfume that invites you to eat it. It is more than an ideal Christmas gift, it is a piece of art that exquisitely crafted priced at $275.